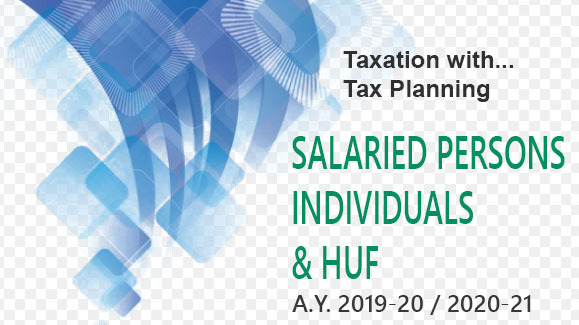 U/s Sec60, where the assessee transfers to another person some income but without the transfer of assets producing that income, such an income shall not be the income of the transferee but it shall be chargeable to income tax as the income of the transferor and shall be included in his gross total income. Such a transfer of income may be revocable or irrevocable and whether effected before or after the commencement of this Act. All income by virtue of a “revocable transfer” of assets arising to any person shall be chargeable to income-tax in the hands of the transferor and shall be included in his total income. The transferor includes any settlement, trust, agreement or arrangement. Any income accrued to spouse by way of salary, commission, fee or any other form of remuneration whether in cash or in kind from a concern in which such individual has a substantial interest, shall be considered to be the income of such individual. Any income arising to the spouse where the spouse possesses technical or professional qualifications and the income is solely attributable to the application of his or her technical or professional knowledge and experience, it shall not be included with the income of Individual. If the assets are purchased from the income of the transferred assets any income to a spouse or from such assets shall not be included in the total income the transferor. Any income accruing from asset which is transferred after 1-6-1973 to daughter-in-law without adequate consideration shall be considered to be the income of transferor w.e.f. assessment year 1976-77. 1. The taxpayer is an individual and had transferred an assets which may be direct or indirect. 2. The asset is transferred to a person or an association of person. 3. It is transferred for the immediate or deferred benefit of his/her spouse. 4. The transfer is without adequate consideration. 1. The taxpayer is an individual and had transferred an assets after May 31, 1973 and which may be direct or indirect. 3. It is transferred for the immediate or deferred benefit of his/her Son’s Wife. (b) activity involving application of his skill, talent or specialized know-ledge and experience. Clubbing provisions of section are not applicable--- when a minor child suffering from any disability of the nature specified in section 80U.